Sometimes the things you'll find on a bookshelves of your local book store can be quite unusual and downright weird. 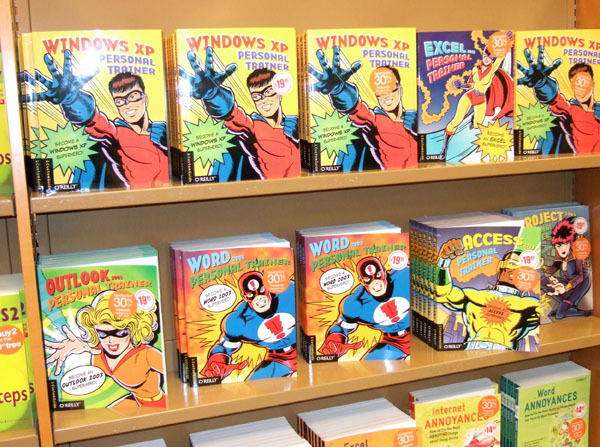 Consider the following super-hero themed series of books on Windows products by O'Reilly. I think this is brilliant. Aside from the obvious campiness and fun, they set themselves apart from other technical texts that appear to the average reader intimidating and complex. I wonder if the superheros have names?